Millions of children from low-income areas don’t have the tools they need to learn. As part of our Powerful Pages initiative, Domtar promotes education and literacy. We are proud to engage with organizations and schools across North America to share the gift of reading and provide greater access to educational opportunities. One of the organizations that we partner with is First Book, which provides needed resources to the country’s largest network of educators serving kids from low-income families. First Book believes that education provides a pathway out of poverty and that all children have a right to a quality education, no matter where they live. Through a sustainable model, First Book is creating equal access to quality education by providing everything from high-quality books and educational resources to sports equipment, winter coats, snacks and more. These items, distributed by its member network of more than 350,000 educators who exclusively serve kids in need, make it possible for kids to make the most of available educational opportunities. Since 1992, First Book has distributed more than 170 million books and educational resources to programs and schools serving children from low-income families in more than 30 countries. First Book currently reaches an average of 3 million children every year and supports more than 25 percent of the estimated 1.3 million classrooms and programs serving children in need. With 1,000 educators joining each week, First Book is the largest and fastest-growing network of educators in the United States exclusively serving kids in need. 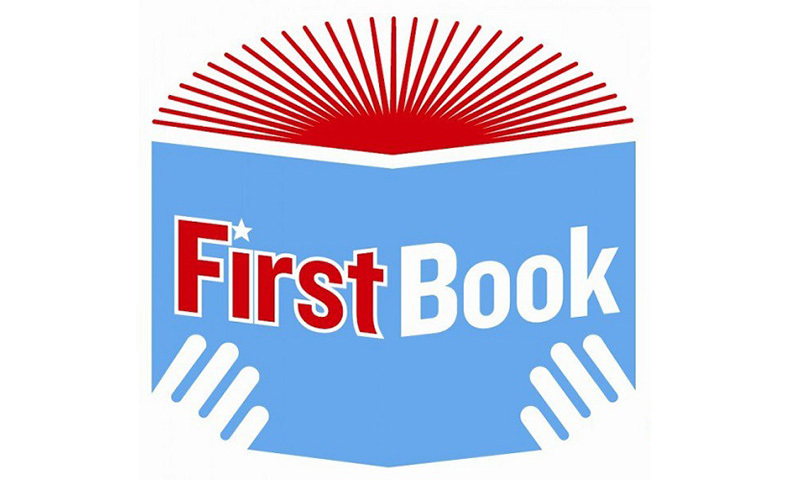 First Book members work in classrooms; after-school, summer and early-childhood programs; shelters; health clinics; libraries; community programs; military-support programs; and other settings offering educational opportunities to children in need. In low-income communities, books and educational resources are often scarce. Children in these communities tend to start school with fewer skills than their more affluent peers, and it can be difficult for them to catch up. First Book notes that a record number of kids are growing up in need. More than half of U.S. public school students live in low-income households. Many of the public education services and community programs that serve these students are deeply underfunded. In fact, 23 states are spending less on education than they were before the 2008 recession. Today, 80 percent of fourth grade students from low-income households do not read proficiently. In the long term, poor education is directly tied to future poverty, unemployment, illness and crime. First Book and Domtar understand the role that literacy and educational opportunities can play in addressing these issues. That’s why we have worked together for several years to put books and school supplies into the hands of children, especially those living in need. According to First Book, educators say that resources from First Book help close the achievement gap for the kids they serve. Without First Book, most children in low-income school districts would have had access to very few books. In addition, once those same children received new books to take home, their interest in reading increased substantially. Through our partnership, Domtar and First Book have been able to donate hundreds of thousands of books to children across North America. Together, we hold an annual Truck of Books event where we donate 40,000 free books to teachers to distribute to kids in low-income school districts. Recently, Domtar and First Book also partnered for a Domtar Comfort and Care event, where we assembled and delivered 1,500 baby care packages, including books and diapers, to organizations that support low-income families.